What is a precision balance? 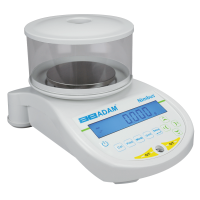 Precision balances can be defined as weighing machines that measure mass to a precise unit, usually in gram or milligram increments up to 0.001g. Precision balances are seen as versatile, high quality scales that include a range of weighing applications such as density determination, parts counting, percentage weighing and dynamic animal weighing. As a result, they are popular within a wide range of industries, including education, medical, veterinary and jewelry. 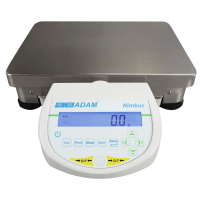 Scaletec stock Adam's Nimbus and Highland selection of precision scales and balances. Nimbus precision balances includes a choice of 15 different models with internal and external calibration models available. Nimbus balances come complete with built-in parts counting, percentage weighing, density determination and dynamic/ animal weighing applications perfect for chemistry and science laboratories. Highland precision balances offer a portable alternative to Nimbus balances and come compete with durable, ABS housing and draft shield protection. The Highland features Adam’s unique patented HandiCal® internal calibration with a built-in mass, and ShockProtect® as a safeguard against shock loading and accidental overload. Ideal for schools, jewelers, food testing and general field experimentation. If you require help choosing the best precision scale for your needs, please contact us. Designed for scientists, the Nimbus series of precision balances offers a wide selection of models that deliver a full breadth of precision readabilities ranging from 0.1mg to 0.1g. Ideal for laboratories and university environments. 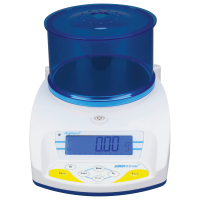 Nimbus top loading precision balances are Nimbus models offering higher weight capacities and 0.1g readability. Perfect for materials testing applications. Q: How are precision balances different from analytical balances? Precision balances are typically graded by readability in order to differentiate from other types of precision and analytical balances. Precision balances are seen as offering the lowest level of readability (between 0.1-0.01mg) with analytical balances, semi-micro balances and microbalances offering 0.01mg-0.0001mg respectively. Precision balances are usually cheaper, portable and more robust than weighing scales with higher readabilities, and can be used for conducting science field experiments and within school classroom environments. Q: How to calibrate a precision balance? Precision balances can be calibrated in several ways and the process for this will depend on the model. Precision scales and balances with internal calibration, such as the Highland, can be calibrated through the device's setup menu and selecting the internal calibration procedure. Scales and balances with external calibration will require regular maintenance with approved calibration weights. This process requires the user to manually add a group of weights individually onto the scale's weighing pan. The weight of the test weight will be displayed on the scale's display, you will need to ensure that the weight value on the screen corresponds with the weight signified on each individual calibration weight to ensure reliable results. 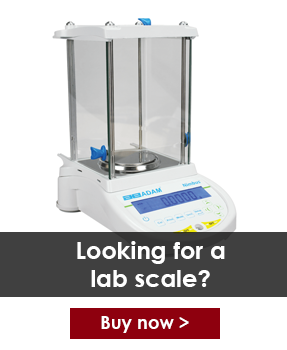 Precision scales and balances typically require F1 Class calibration test weights.